The second part of the Karl Jaeger collection was offered in Warwick and Warwick’s January 21 auction and only 4 of the lots failed to find a buyer. The best performing section was the road transport cards, which included many poster adverts. There were 8 collections on offer with estimates totalling £7,550. The total realisation for these 8 lots was £13,304, including the buyers’ premium. Additionally, a collection of 24 motor sport cards, estimated at £600, achieved £1,121. Aviation was another significant section of the Karl Jaeger collection and here 7 lots, estimated at £4,170, made £4,519. Karl’s foreign countries on offer included China, estimated at £2,300, which realised £3,894, Hong Kong, estimated £750, which realised £2,596 and Indo-China, estimated £650, which realised £796. The two collections of Japanese art cards failed to find a buyer. Elsewhere in the sale, topographicals and social history easily out-performed subject cards, with good results recorded for Beds., Berks. and Thames Valley, Essex, Kent and Warks. London and suburbs was represented by 7 collections estimated, in total, at £3,840, which made £4,578, with a Walworth steam lorry realising £77. 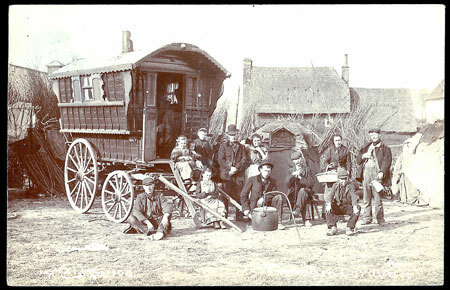 Amongst the social history was a wonderfully detailed real photo card of a gypsy caravan and gypsies, postally used, in 1907, from Ashford to Gravesend, in Kent. It realised £224. A collection of Jamaica was presented in 4 plastic filing boxes and was estimated at £1,100. Bidding stopped at £1,416. The famous Fry’s poster advert “With Capt. 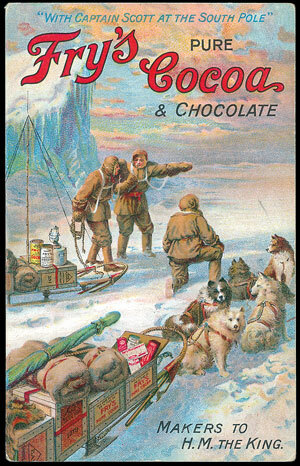 Scott at the South Pole” found a buyer at £65 and £50 was paid for a Shell advert, numbered 280, Lorraine-Dietrich setting records at Brooklands on Nov 27th 1912, which had not been previously recorded by Alan Roman in his listing of Shell cards. 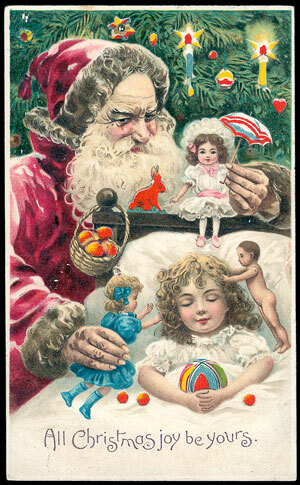 A Father Christmas hold to light, featuring toys, was estimated at £60 and realised £189. Military collections sold well and 145 Gale and Polden Battle Honours: History and Traditions made £796, or £5.50 each. A collection of 350 royalty included 8 Russian cards, as well as Siam, Japan and Eastern Europe. Estimated conservatively at £90, it realised £318, and 2 GB 1897 QV jubilee cards made £83 each.